Italian yard Tecnomar has announced the sale of three superyachts in the past three months, a period of high-activity it believes is partly due to its ability to offer value for money in a buyer’s market. 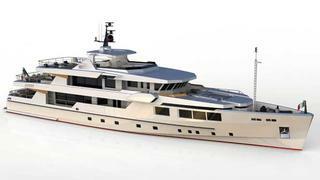 The new build motor yachts Impero 45m, Impero 40m and Regale 33m are scheduled for delivery in 2013. One deal was signed in mid-July and the other two in August, two by European clients and one by an Asian buyer. ‘We do not have the heritage of, for example Feadship, but I think we offer some of the best value for money in the current marketplace,’ says Francesco Carbone, Tecnomar sales director. ‘We have been experiencing that almost all clients are more careful than they were in the past. They are few and they have a lot of power now, more than in the past. They are very attentive to the price and the value for money. Carbone believes Tecnomar’s competitive edge is partly down to strong leadership from Giovanni Costantino, who became president in 2009. He reorganised and restructured the builder, and took steps to ensure it got value for money from suppliers – which it could then pass on to clients. ‘With the right approach and the right technicality, it was not difficult to get huge savings as everything was costing too much,’ says Carbone. Carbone also believes an improved public knowledge about the financial solidity of the shipyard – at a time when clients are becoming more alert to the danger of yards going broke – has given Tecnomar a boost.